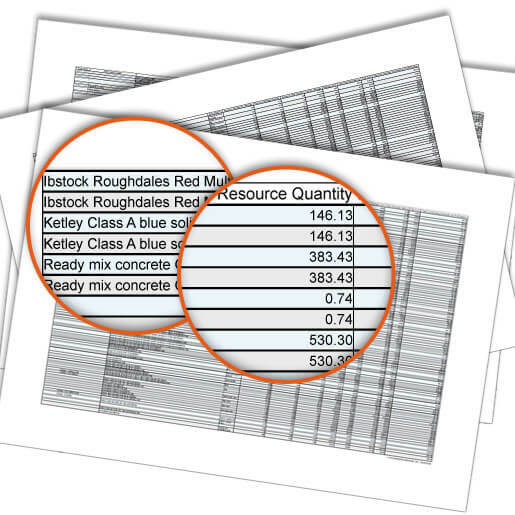 The BuildingWorks Estimate Module automatically produces a whole host of management reports from your estimate data. 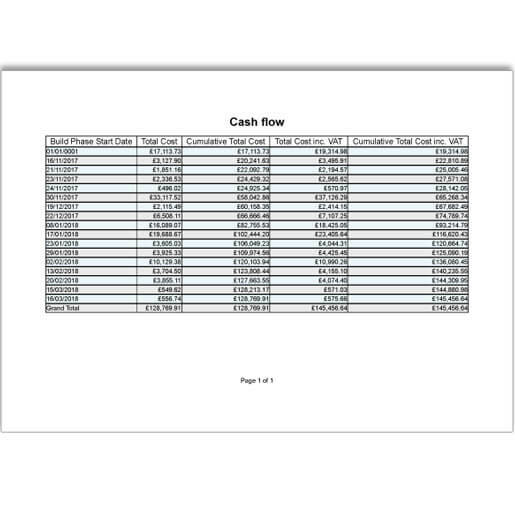 As well as a full breakdown of costs, cutting lists, material schedules (Bill of quantities) and labour schedules it will also tell you how much profit you are going to make and provide cashflow analysis. Just so you know, the reporting function is only available in Estimate Professional & Estimate Professional QS. Some features are only available in Estimate Professional QS and are denoted with an ‘†’. See detailed cost breakdowns for job by resource type. 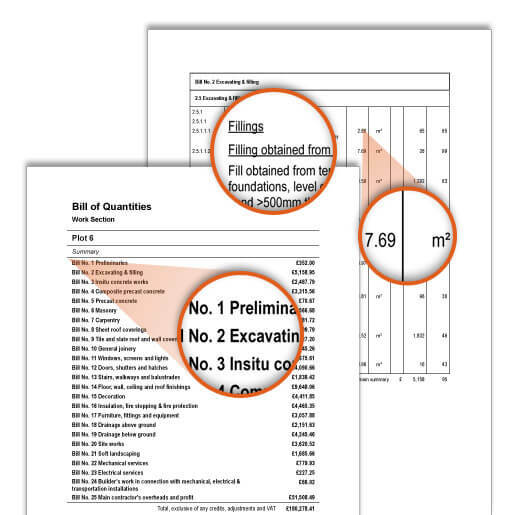 The Elemental Bill of Quantities breaks down the job by element in line with NRM. 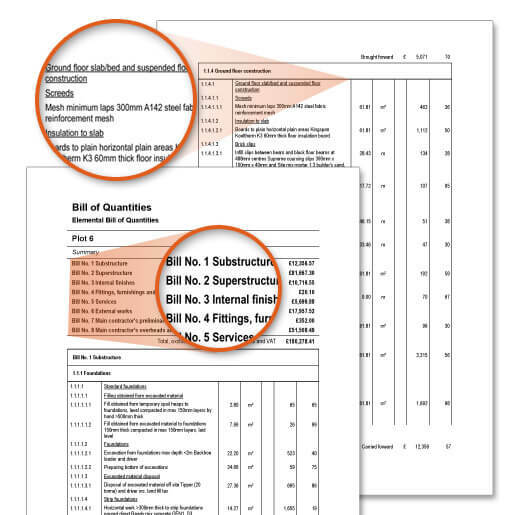 The Works Bill of Quantities breaks down the job by works section in line with NRM. 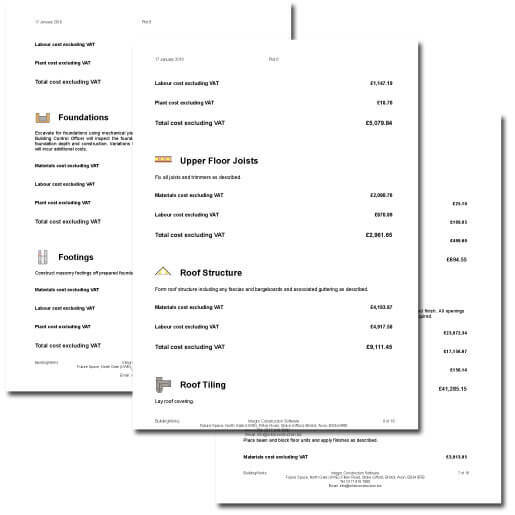 The Material Used report shows you the quantities of each product you need to order for a job. Easily produce professional, full colour build programmes with the Estimate Module to ensure contractors are on site, on time, as well as impressing clients and the bank.